The next Albuquerque Death Cafe will be held on Saturday, February 21, 2015 from 2:00 p.m. to 4:00 p.m. at Gail Rubin’s home. At the Death Cafe, people come together in a relaxed, confidential and safe setting to discuss death and end-of-life issues, drink tea (or your favorite beverage) and eat delicious cake or cookies. 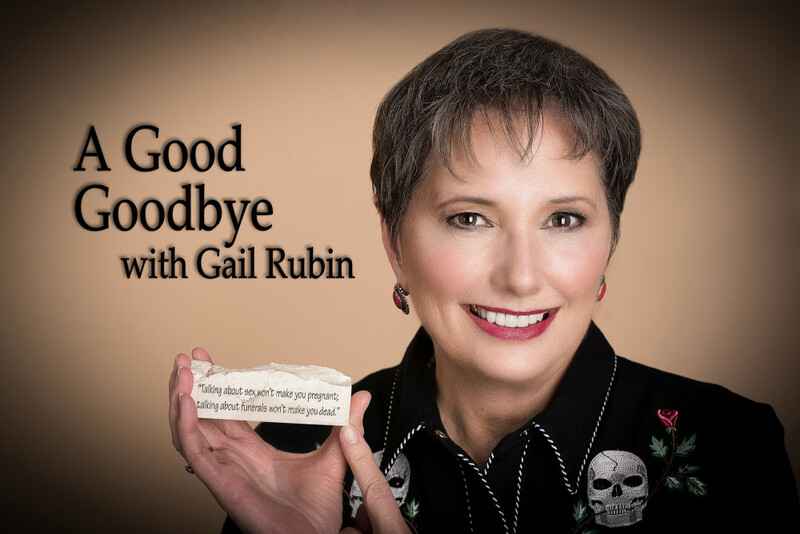 If you want to attend, send an email to Gail [at] AGoodGoodbye.com to RSVP for the address and directions. Or join the Albuquerque Death Cafe Meetup group to RSVP and be kept apprised of upcoming events. Click here to go to the Meetup page. Albuquerque was the site of the second Death Cafe held in the United States – the first one west of the Mississippi! Gail Rubin hosted this pioneering event in September of 2012. A Certified Thanatologist (a death educator), Ms. Rubin has since facilitated dozens of Death Cafe conversations. The Death Cafe concept was started in the United Kingdom in 2011 by Jon Underwood. He was influenced by the ideas of Swiss sociologist Bernard Crettaz, who started holding Cafe Mortel events in France and Switzerland. Learn more about the Death Cafe movement.